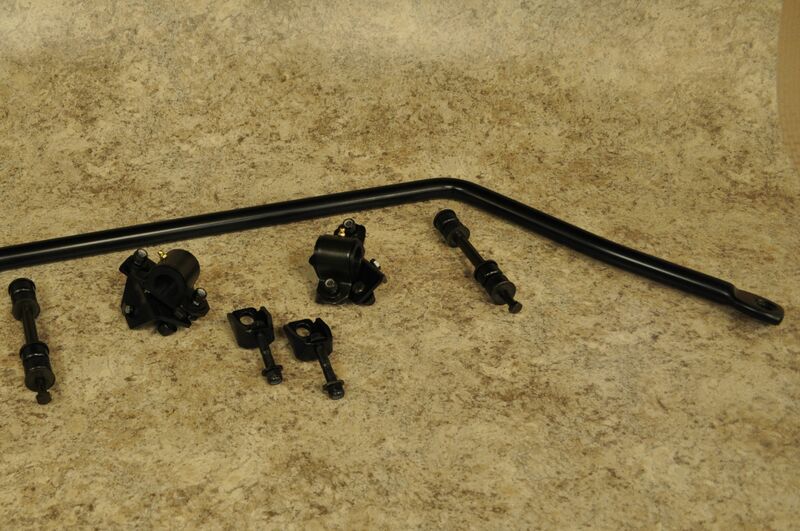 FFI builds tubular sway bar kits in house. The difference is in the weight and quality of the bar material and the hardware. Compared with our solid 1-1/4 swaybars (~21.5 lbs. ), the tubular swaybars reduce the weight by 9 pounds (~12.5 lbs.). The brackets fit well and are built heavy duty to handle the higher stress created by higher rate sway bars. 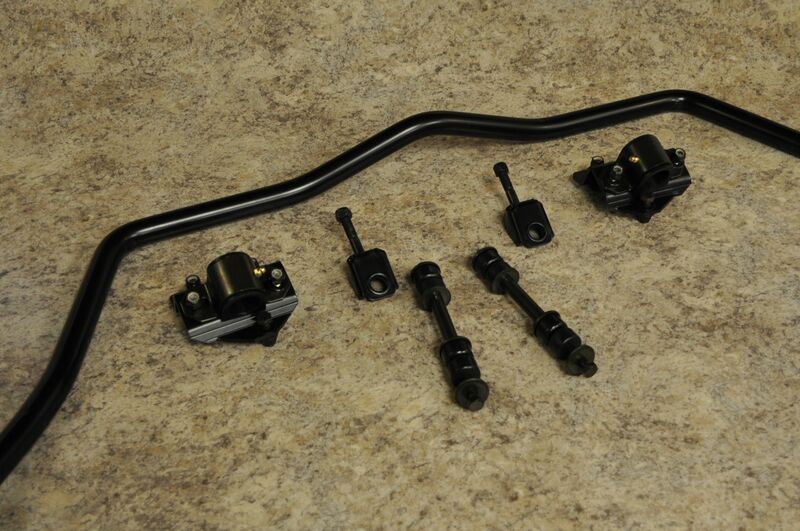 All of our sway bars are powder coated black and have urethane bushings fit with zerk fittings. *Will require rear-mounted calipers when using later disc brake conversions on '62-'72 cars. For cars without Factory sway bar brackets add $50 for LCA brackets. This alternative kit will clear front-mounted calipers when using later disc brake conversions on '62-'72 cars.